Here's the suggestion from your spouse: I want to play some great golf, but I hope there are other things to do besides shopping and dining. The John and Mable Ringling Museum of Art is the epicenter of culture in Sarasota. Your answer should be: "Hey, I've got a great idea. Let's go to Sarasota." Encompassing places like Longboat Key, Lido Key and Siesta Key, the Sarasota area is an engaging blend of excellent golf courses, white sand beaches and some of Florida's most significant cultural attractions. Following a round of golf, there are numerous options to visit museums, attend live theater, dance and musical performances and browse art galleries. Dubbed "Florida's Cultural Coast," the Sarasota area is home to a professional symphony, ballet, opera, seven live performance theaters, several museums and more than 30 art galleries. Enhancing the experience is St. Armands Circle, a European-style promenade lined with upscale restaurants, sidewalk cafes and designer boutiques. The epicenter of culture in Sarasota is the John and Mable Ringling Museum of Art, which is housed on the site of the circus magnate's former estate overlooking Sarasota Bay. The museum has one of the largest collections of Rubens paintings in the world along with many other works by notable artists. Other highlights are the Circus Museum, the 56-room Venetian Gothic palace that served as Ringling's residence, and the Asolo Theater, a magnificent structure that was built in Italy in the 1800s, then dismantled and reassemble at the Ringling estate in the 1940s. If you enjoy live performances, the Van Wezel Performing Arts Hall, designed by the Frank Lloyd Wright Foundation, offers musical entertainment and Broadway revivals throughout the year. A great way to enhance a golf getaway to Sarasota is to plan it around one of its many local festivals. For film buffs, the Sarasota Film Festival in April and Sarasota Film Society Cine-World Film Festival in November are highly regarded happenings. For music enthusiasts, the Sarasota Music Festival, staged for three weeks every June, brings the best up-and-coming young musicians from around the world to the city, and the Sarasota Blues Fest is a rockin' good time in September. The most comprehensive festival on the calendar is the Ringling International Arts Festival in October. Under the artistic direction of the Baryshnikov Arts Center, this festival has performances in dance, music, theater and film. When it's time to tee it up, Sarasota's golf possibilities are an excellent compliment to its cultural offerings. One of my favorites is the Ted McAnlis-designed Tatum Ridge Golf Links, a Scottish-style links course with 11 lakes and lots of wildlife. I can't guarantee any birdies on the scorecard, but you'll see lots of interesting birds in this natural setting. McAnlis also designed the Misty Creek Country Club, a Billy Casper Golf-managed course in a wilderness setting where golfers have seen everything from deer and bobcat to alligators and wild boar. Natural woodlands and native habitat have also been well preserved at University Park Country Club, a 27-hole complex fashioned by Lakeland, Fla.-based designer Ron Garl. Ideal for all skill levels, the course has six tee placements on every hole. If you hear locals in the Sarasota area talk about playing "The Cat", they're referring to Bobcat Trail Golf Club, a design by former PGA champion Bob Tway and architect Lee Singletary. The design duo consistently forces you to make choices about your aggressiveness on this "risk-reward" layout. The 411-yard, par-4 ninth is the signature hole. With water skirting the entire left side, it requires an approach to a wildly undulating green. My advice: Score par, smile wildly and head quickly to the 10th tee. 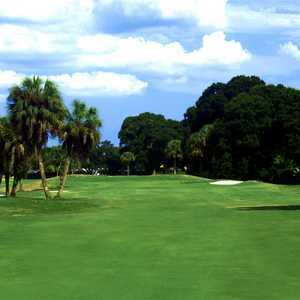 For a superb municipal golf experience, the Bobby Jones Golf Club is the only golf facility situated within the city limits of Sarasota. Only one of the 45 golf holes has any building development, making it a pleasurable way to spend four or five hours. Donald Ross fans love the British Course, designed by the Scotsman in 1926, which offers elevated dome shaped greens, open fairways and strategically placed bunkers. 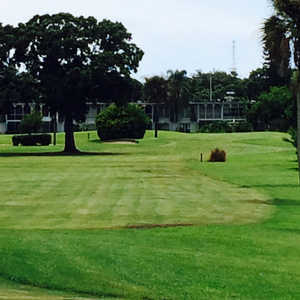 One of the newer courses in the area is the Sarasota National Golf Club, a Troon Golf-managed facility that opened in 2008. If you play from the tips, you better bring a big stick as the championship tees measure 7,334 yards. 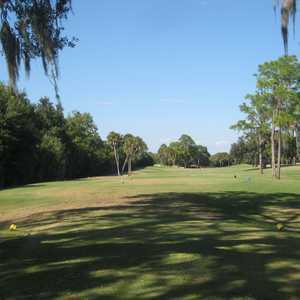 Laid out around wetlands and natural areas, the course was designed by Naples, Fla.-based architect Gordon Lewis, who has fashioned several courses in southwest Florida, including Heritage Bay Golf and Country Club and ArrowHead Golf Club in Naples. Arnold Palmer design fans are drawn to the Legacy Golf Club, a superb Troon Golf-managed, upscale daily-fee course with wide fairways, multiple elevated tees, numerous holes framed with water and sand, and a high service level.